NEW YORK, May 23, 2012/ — Last night, Camper and Shigeru Ban celebrated Camper’s new “House of Shoes.” The Camper Store, located at 110 Prince in New York City was designed by the internationally renowned Japanese architect, Shigeru Ban. 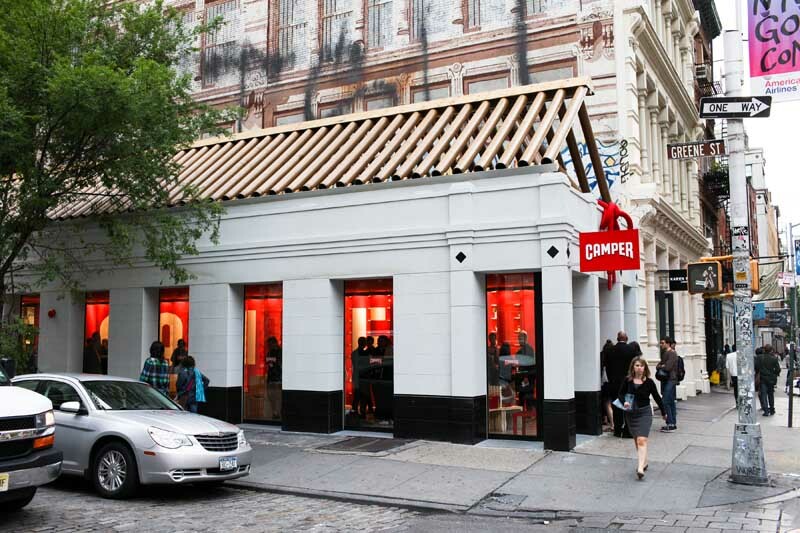 Camper’s new outpost is located on the southwest corner of Prince Street and Greene Street Avenues in the Soho District just south of Houston Street. 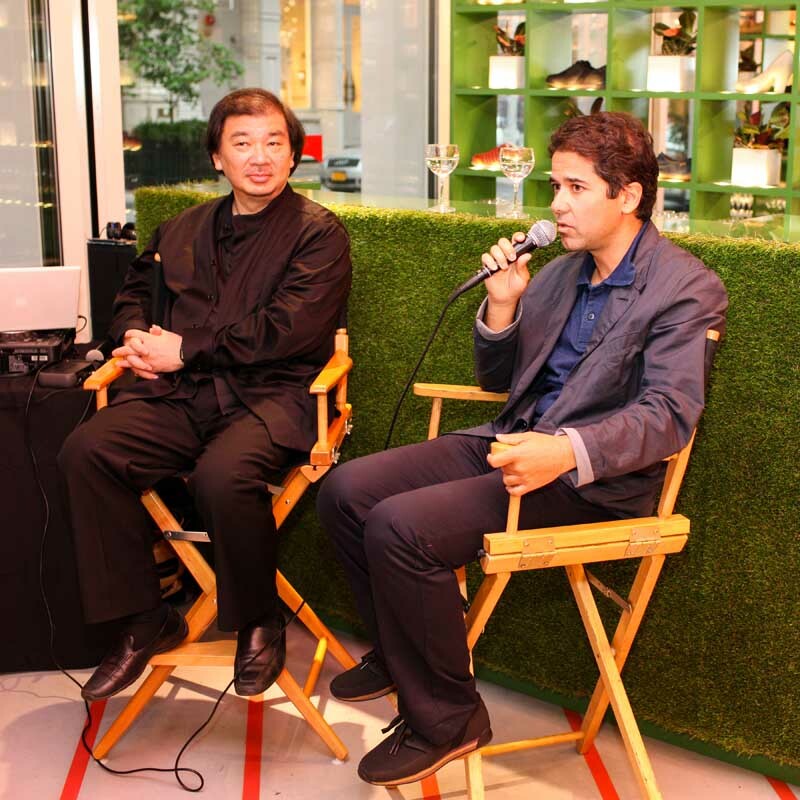 The event was hosted by Camper’s General Manager, MIGUEL FLUXA and SHIGERU BAN. Guests danced the night away to music by MATT KAYS and dined on a Mediterranean cuisine. The Camper Store is Shigeru Ban’s first completed retail project in the United States. It is Shigeru Ban Architects’ fourth completed project in New York, beginning with the Paper Arch in 2000, followed by the Nomadic Museum in 2005, Furniture House 5 in Sagaponac in 2006 and most recently the Metal Shutter Houses in West Chelsea. Known for his “poetic” architectural style, Ban’s Camper Store is both minimal, while at the same time playful. The store reflects innovative design consistent to Mr. Ban’s work and incorporates his flare for ingenuity with beautiful modern design that remains the hallmark throughout all his projects. Aptly named “House of Shoes”, the store was built on an existing building that has been gutted to make way for a 1, 200 square-feet retail space on the ground floor with 1,200 square feet of basement storage below. Atop the flat roof is Shigeru Ban’s signature Paper Tube Structure in the form of a triangle. The new gable shape celebrates Camper’s first Owner occupied building in New York, thus becoming Camper’s “House of Shoes”. Seen from the corner of Prince and Greene Streets, one first sees a Red Wall with White Letters boldly displaying the Camper name. It isn’t until one enters the store that one sees a disintegration of the letters and discovers the shoe display revealed in cubbies arranged in a 45-degree angle in plan behind the Red Wall. The 45-degree angle is echoed in a polished concrete floor with epoxy red stripes and a corrugated metal ceiling that is red on one side and white on the other. At the far end of the space is a mirror that simultaneously allows one to see a reflection of the white-sided elements of both the shoe display and the ceiling that is in sharp contracts to the red, when seen from the front. In the space is a white seating area/shoe display made up of from elements of the Shigeru Ban’ 10-Unit-System, manufactured by Artek and black floor stand light fixtures, called Yumi by FontanaArte.